Team leaders, Jeff and Angie Knight have a heart and passion for missions. Missionaries living here–going there. Called to go, build, serve and sow. When Jeff gave his life to Jesus- he had no idea what was in store. 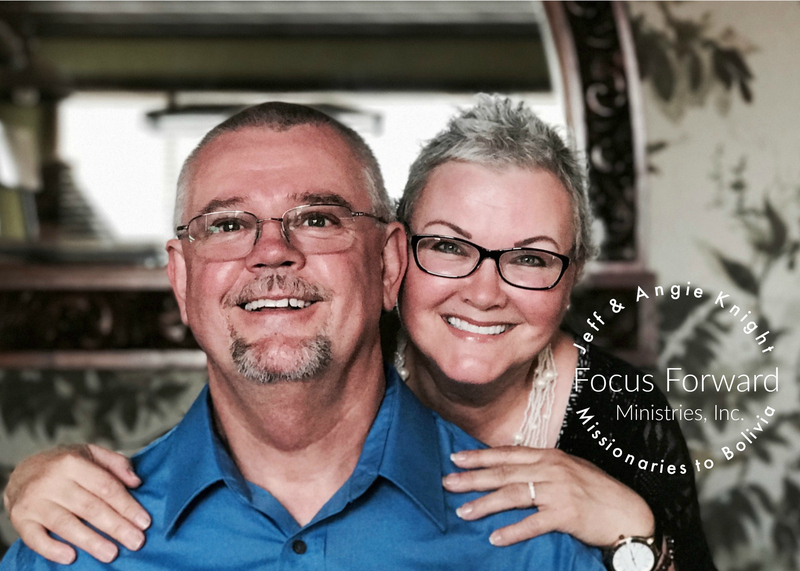 Early in their marriage, Jeff and Angie began working in the church–various jobs from teaching Sunday School classes, to cutting the grass-and most everything in between, with just a deep desire to serve God. In 1993, Jeff was able to take part in building for the kingdom of God, literally by building. He was able to participate in several trips following that first life changing experience. As Jeff traveled with his team leader and mission pastor, Jerry Moore, he soon knew God was doing an unexpected -but exciting work in his life. Angie’s first mission trip took place after their children were grown-and married with kids of their own. In 2009, Angie was given her first opportunity to join a mission team to Honduras–which changed her vision–her spiritual eyesight became permanently affected by the heart and hand of God. Each trip she took– was a true gift from God–designed to create in her the passion required for what God had next. From those first trips, God began to grow inside both of them, a heart to do more in missions. In 2011, they led their first mission team of individuals from 3 churches, to a little village in Bolivia to build a church. The next year, they returned to an open door at the neighboring school and held a Crusade with their church children’s pastors, along with several others. Their team distributed over 400 bibles and over 700 Gospel tracts and lives were once again changed. God has brought together a team–and solidified this group more and more with each trip. This team is more like a family–as their hearts and minds are united with a passion to see lives and hearts changed for Christ. Each year, they have continued to go, plant seeds, water what was sown the year before, and work to cultivate a last day harvest for God. Relationships built in 2011 remain strong today and it is with great excitement that each group, those here and their new friends in South America, anticipate the return of this band of missionaries that work closely with Jeff and Angie. We would love to have you join on a trip if God leads you in that direction! But we also invite you to become part of our ministry through prayers and support. Thank you for visiting with us today and taking time to read our hearts–for the mission God has given each of us!